The first thing to know is that Amazon has had a samples program for over a year. What is different now is that Amazon has free samples, and you no longer have to have Amazon Prime to get those free samples. 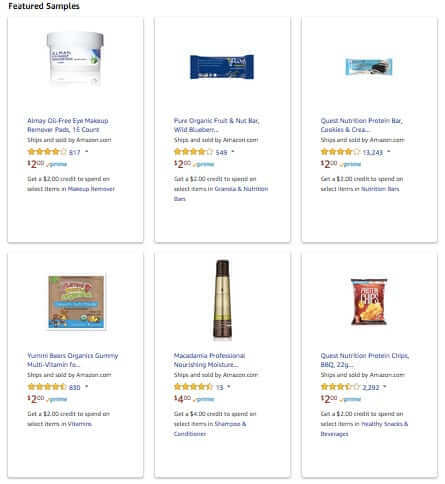 Amazon had offered paid samples to its Prime members for a couple of years; the samples usually ran between $2.00 and $4.00, and were most often from the food, beauty, and healthcare categories. Product Sampling helps you discover products you might love by sending you FREE samples from new and established brands. It’s like Amazon’s product recommendations, but real, so you can try, smell, feel, and taste the latest products. 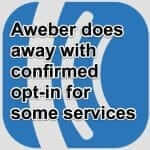 There is no obligation to purchase or review the product and you can opt out at any time. We pick samples to send to you based on what we think you might like. You receive the free product sample in the mail. You can provide feedback through an optional follow-up survey. Anyone with an active Amazon.com account is eligible to receive free samples. Samples are sent to your default address. To send samples to a different address, you need to change the default address of your Amazon account. If you would prefer not to receive samples, please visit the Communication Preferences Center and select “Do not send me marketing information by mail” in the Marketing Information by Post section. Do I have to pay for samples? No, samples are free and you don’t have to pay for anything. Do I need to be a Prime member to receive samples? No, you don’t have to be a Prime member to receive samples. Is there a limit to how many samples I get? Currently, there is no limit to how many samples you can get from Amazon. How do I buy more of the product I received? If you would like to purchase the product that you’ve received, check the insert card that came with your sample for instructions on how to purchase. How frequently will I receive samples? Currently, there isn’t a time frame when you receive samples, but we will do our best to send out relevant samples based on availability. 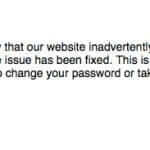 Now, sometime between December 7, 2018 and December 11, 2018 Amazon changed the page (and presumably the free sample program, to match the page). 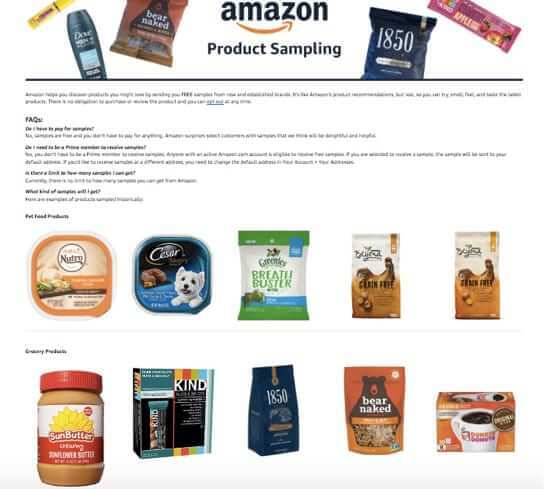 Amazon helps you discover products you might love by sending you FREE samples from new and established brands. It’s like Amazon’s product recommendations, but real, so you can try, smell, feel, and taste the latest products. There is no obligation to purchase or review the product and you can opt out at any time. No, samples are free and you don’t have to pay for anything. Amazon surprises select customers with samples that we think will be delightful and helpful. No, you don’t have to be a Prime member to receive samples. Anyone with an active Amazon.com account is eligible to receive free samples. If you are selected to receive a sample, the sample will be sent to your default address. If you’d like to receive samples at a different address, you need to change the default address in Your Account > Your Addresses. Is there a limit to how many samples I can get? Of course, they are using a combination of your own ordering history and AI (hello, Alexa!) to do that. 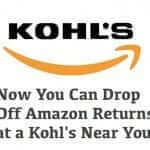 So, by now we are sure that you are wondering one of two things – either “How do I get free samples from Amazon” or “How do I opt out of getting free samples from Amazon”. 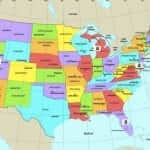 First, you may be wondering why anyone would want to opt out of getting free stuff. And here’s why: because if it isn’t something you are interested in (and often it isn’t) then you have to figure out how to get rid of it. You don’t want to throw it out because it’s something that’s usable. But you also don’t want to have it cluttering up your house. And because it’s sample-sized, few thrift stores, for example, are going to want it. So just what do you do with it? Anyways, here you go – for each of these you need to be logged in to your Amazon account. 1. 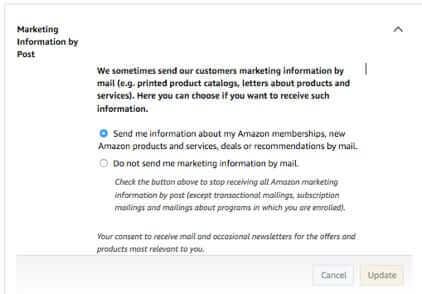 Go to your Amazon Communications Preferences Center, and under ‘Marketing Information by Post’ be sure that “Send me information about my Amazon memberships, new Amazon products and services, deals or recommendations by mail” is checked. 2. 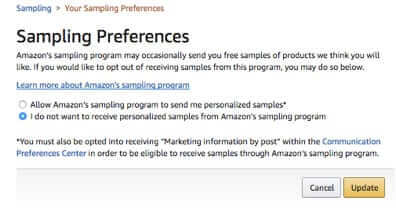 Next go to Sampling Preferences, and make sure that “Allow Amazon’s sampling program to send me personalized samples*” is checked. That’s all there is to it! 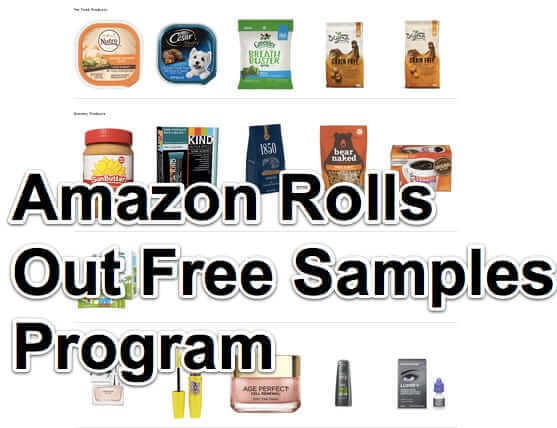 There is no way to really tell when or how often you will receive free samples from Amazon, so don’t be discouraged if it takes a while. 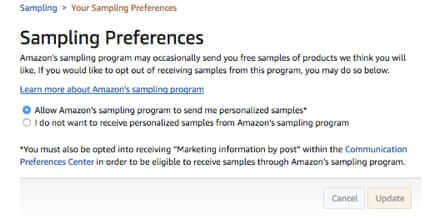 You opt out of the Amazon free sampling program at the same page where you need to opt in to it: https://www.amazon.com/samples/preferences. 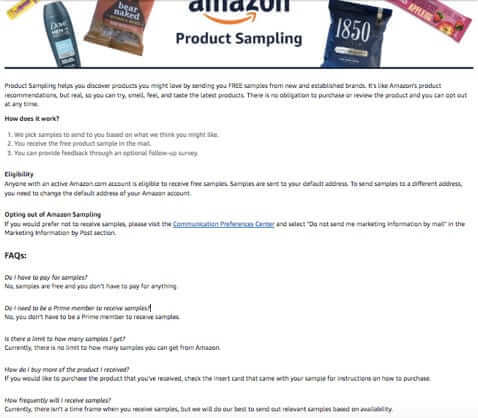 However, in this case you are going to make sure that “I do not want to receive personalized samples from Amazon’s sampling program” is checked. While you’re here, if you’ve received free samples from Amazon, please let us know what was the most interesting, useful or, hey, useless free sample you have received from Amazon. The nettersphere is a'twitter with chatter about Amazon's new free sample program, and people are wondering both how to get free samples on Amazon, and also how to stop getting free samples if you don't want them. Here's everything that you need to know.